Heat oven to 375°F. In large bowl, stir all ingredients except candies until soft dough forms. Stir in candies. On ungreased cookie sheets, place about 1/4 cupfuls dough about 3 inches apart. Bake 12 to 13 minutes or until light golden brown. 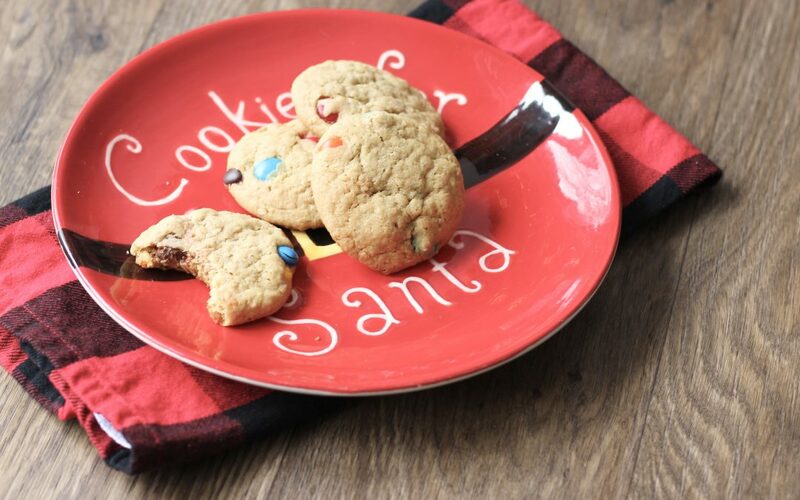 Cool 2 minutes; remove from cookie sheets. Cool completely. Store in covered container at room temperature.